South America is the World’s fourth-largest continent – 17,840,000 km² covering approximately 12% of the Earth’s land and 3.5% of the Earth’s surface. It is bordered by the Atlantic Ocean to the east and the Pacific Ocean to the west. The eastern side of the continent is generally lower than the west which contains the Andes mountain range. The second-longest river in the World, the Amazon (6,400 km) flows across the top of the continent. Argentina is home to the highest mountain Aconcagua (6960 m) and the World’s highest waterfall – Angel Falls (979 m). South America is not divided into regions. South America is located in the southern hemisphere. Those countries to the south of the continent have four distinct seasons. The countries in the north of the continent have more constant high temperatures and high rainfall throughout the year. Grassland – Hot summers and cold winters with above average rainfall. 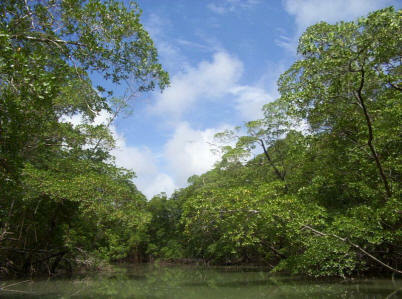 Rainforest – High temperatures and high rainfall throughout the year. Alpine/mountain – Cold, windy and snowy. It is winter from October to May with temperatures below freezing, while summer is from June to September where the temperature can reach 15?C. There are 16 countries and Islands in South America. Argentina, Bolivia, Brazil, Chile, Colombia, Ecuador, Falkland Islands, French Guiana, Guyana, Paraguay, Peru, South Georgia and South Sandwich Islands, Suriname, Uruguay, Venezuela. Brazil is the most economically developed country but the economies of Argentina, Venezuela, Peru and Uruguay are growing the most quickly. Throughout South America there is a wide gap between the rich and poor. The plant life of South America is characterised according to climatic region. 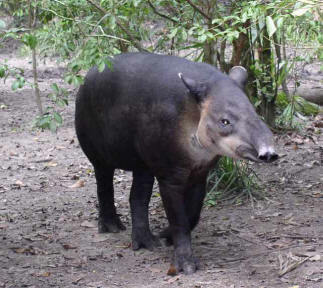 The rainforest areas are jungles of dense, wet forests. The picture (left) shows an area of the Amazon Rainforest. The desert regions are home to those plants that can survive the arid conditions and include varieties of cactii. The deciduous forest region has a wealth of plant life and includes tall and short trees, shrubs, small plants and mosses. Due to the cold during the winter months, only short grasses and shrubs can survive in the alpine/mountain region. The grassland and savanna regions are characterised by large open areas of tall or short grass. Plants found in the Mediterranean region have adapted to the differences in rainfall and temperature between winter and summer and include, palm trees, citrus trees, forest and scrub.